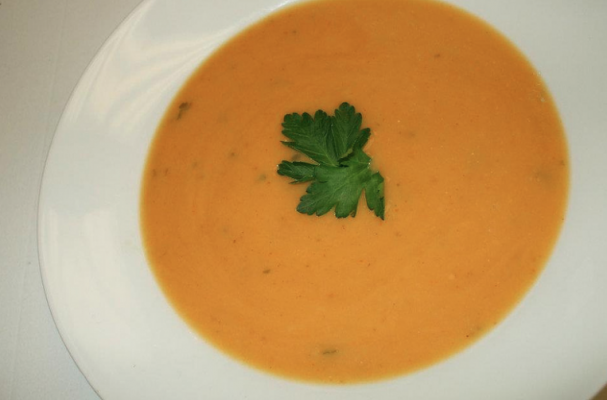 Pumpkin soup is an easy fall dish that anyone can prepare. This recipe is free from gluten or dairy and can be easily converted to vegetarian/vegan by substituting chicken stock for vegetable stock. You can also use fresh cubed pumpkin if available at your local market. While this is a clean recipe, your Thanksgiving guests will enjoy it just the same. Step 1: In a large stock pot, heat coconut oil over medium high heat. Add the onion, garlic and ginger. Cook until fragrant and onions begin to appear translucent, stirring occasionally. Add the apples and butternut squash and continue to cook until softened. Step 2: Add the pumpkin puree and chicken stock and stir to combine. Bring mixture to a boil and then reduce to a simmer. Allow to cook for 15 to 20 minutes. Season with cinnamon and nutmeg. Add salt and pepper, to taste. Step 3: Using an immersion blender, puree soup until smooth. Top with pumpkin seeds and cilantro. Serve hot.